In the years 1598-1600, newly ordained Florentine priest and alchemist Antonio Neri was hard at work on a manuscript which he titled Tesoro del Mondo (Treasure of the World). 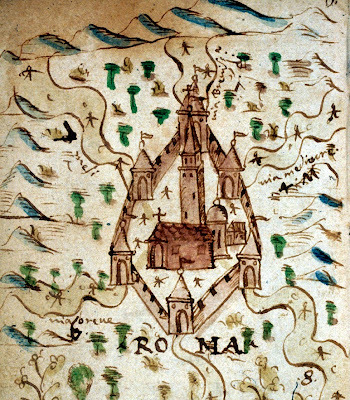 One illustration near the front shows an allegorical map in which six roads all lead to the Vatican at its center. A Latin inscription translates as, "The different ways to Rome" followed by "Qui pot[est] capere capiat" or 'He that can take, let him take it.' 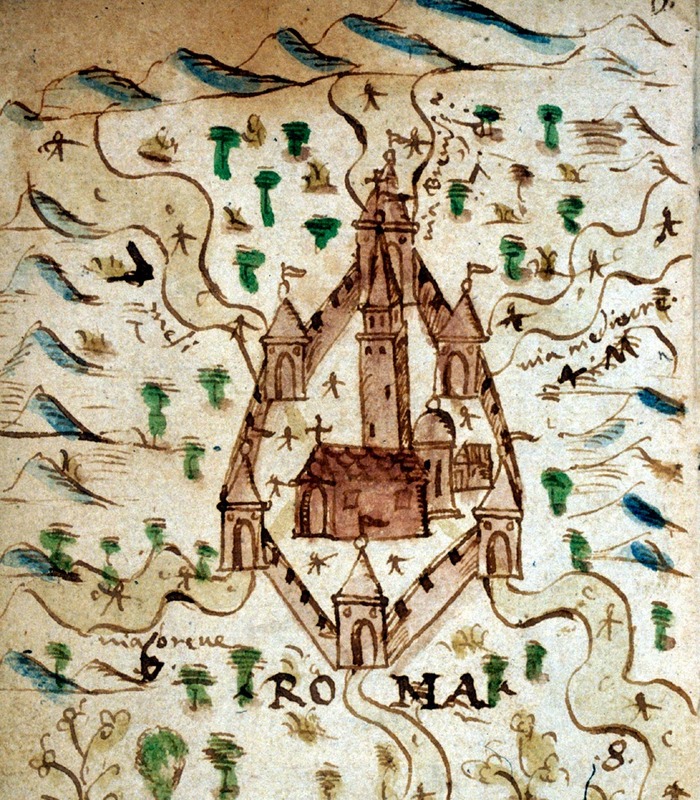 Taken in context, this Biblical reference ( Matthew 19:12) apparently refers to the various alchemical 'paths' leading to the philosopher's stone, but the choice of imagery suggests that Neri spent time in the city of seven hills. It is a tantalizing clue to his travels, although there is no direct confirmation. The villa was a relatively secluded retreat where the Cardinal could entertain guests discretely, including his friend Galileo–Del Monte and his older brother Guidobaldo helped land Galileo the chair of mathematics at the university in Pisa. 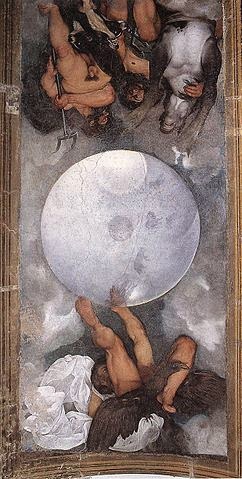 It would be interesting to hear the astronomer’s comments on Caravaggio's tribute to heliocentrism. Neri 1598-1600, f.xxviii-v. (see bibliography). For more on the alchemical interpretation of this illustration see Grazzini 2012. * this post first appeared in a slightly different form on 4 July 2014.